Candlelight dinner for two in our award-winning dining room. Alcoholic Beverage purchase is extra. 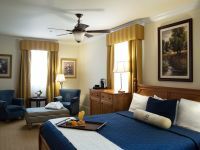 Historic Boone Tavern Lodging Specials, Meeting Specials, Wedding Specials, and Event Specials. Plan your Kentucky event at Boone Tavern to experience the charm, elegance, and special offers that come with hosting at Boone Tavern.